Want to make an official Lake Norman Quilters nametag, or help make ribbons for the 2011 LNQ Quilt Show? 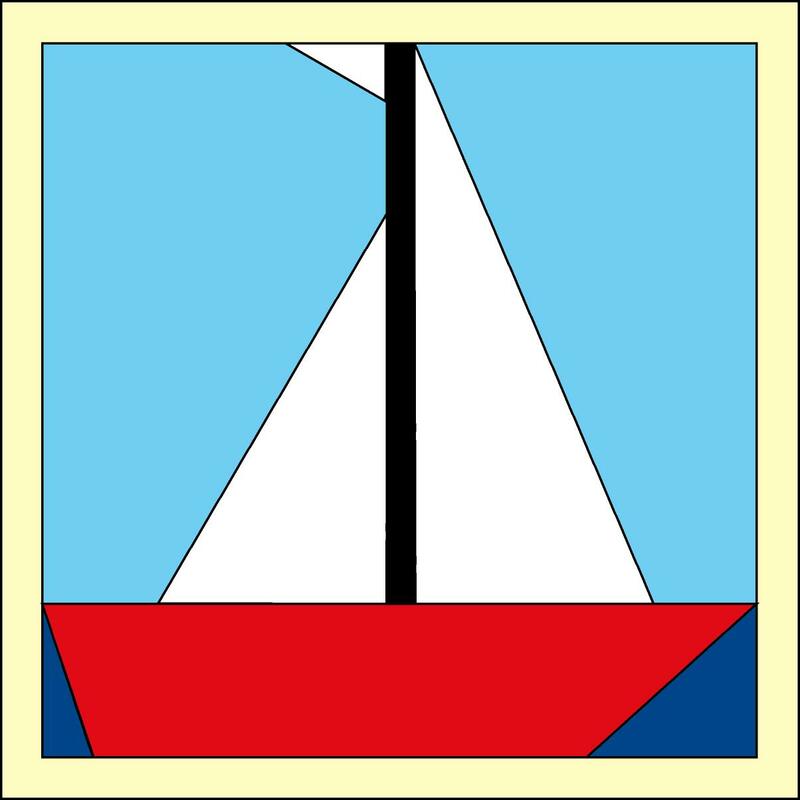 On Saturday, Dec. 4 from 10 a.m. to 1 p.m. at Centre Presbyterian Church, Dottie and Deanna will teach you how to paper-piece this sailboat block. We use it for our nametags and for the ribbons. Please bring your sewing machine, fabric scissors, and thread. If you are making a nametag, please bring your own fabric. All fabric for the quilt show ribbons will be provided.